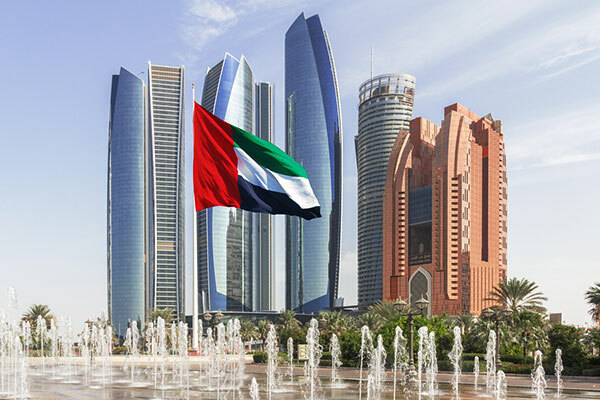 UAE’s Emirates Diplomatic Academy (EDA) has launched the Sustainable Development Goals Centre of Excellence for the Arab Region (SDGCAR) in Abu Dhabi, a media report said. In collaboration with the UN Sustainable Development Solutions Network (SDSN), EDA will build the SDGCAR as a centre of training and research with a specific focus on regional challenges and solutions to achieve the sustainable development goals (SDGs), reported Emirates news agency Wam. After a memorandum of understanding was signed between EDA and the SDSN Association, the establishment of SDGCAR was formally announced at a launch event. The occasion drew the participation of Abdulla Nasser Lootah, director general of the Federal Competitiveness and Statistics Authority and vice chair of the UAE National Committee on SDGs; Bernardino Leon, EDA director general; and Prof. Jeffrey Sachs, SDSN director. They were joined by Dr Salam Fayyad, former Prime Minister of the Palestinian Authority; Borge Brende, President of the World Economic Forum; and Dr. Nawal Al-Hosany, Permanent Representative of the UAE to the International Renewable Energy Agency and EDA Deputy Director General, for a panel discussion entitled ‘Implementing the SDGs in the Arab Region and the Role of Diplomacy’. On this occasion, Reem bint Ibrahim Al Hashemy, Minister of State for International Cooperation, and Chairwoman of the National Committee on Sustainable Development Goals, said, "Sustainable Development Goals represent important components of Vision 2021. Being host to the SDGCAR will add credence to the good work EDA already has conducted in the region and present EDA as the de facto choice when searching for research, training and knowledge on SDGs. It will also make valuable contributions towards the UAE’s achievements of the SDGs." Prof. Jeffrey Sachs, said, "Being a part of the UN Sustainable Development Solutions Network gives the SDGCAR and EDA a powerful knowledge platform to leverage on to help achieve SDGs in this region. It provides a way to examine best practices that other areas have used, and also practices that they no longer use because they failed, so that the Sustainable Development Center of Excellence for the Arab Region need not head down those blind alleys and dead end streets. It means they are not in the fight alone and will be able to reach out to their sister Centers of Excellence across the globe should that need arise." He added, "I can think of no better home to a Sustainable Development Goals Center of Excellence for this region than the UAE due to its exemplary leadership. The Emirates Diplomatic Academy has already proven to be a powerful agent using all the tools at its disposal to educate and structure the talk around SDGs in a way that makes them accessible and understandable. We must continue to control the message in this manner to help the world understand that we must commit to the SDGs with the same verve and belief as the UAE." Bernardino Leon, director general of EDA, said, "The EDA is honoured to be the host of this prestigious regional platform. We will work hard, from day one, to make this Centre the go-to hub for training and research on region-specific challenges and solutions for achieving the SDGs." He added, "Hosting the SDGCAR in Abu Dhabi will further help strengthen the UAE’s position as the regional champion for the 2030 Agenda for Sustainable Development. Supporting sustainable development in the Arab region is also fully in line with the UAE’s foreign policy priorities, including those in the area of foreign assistance and international cooperation."